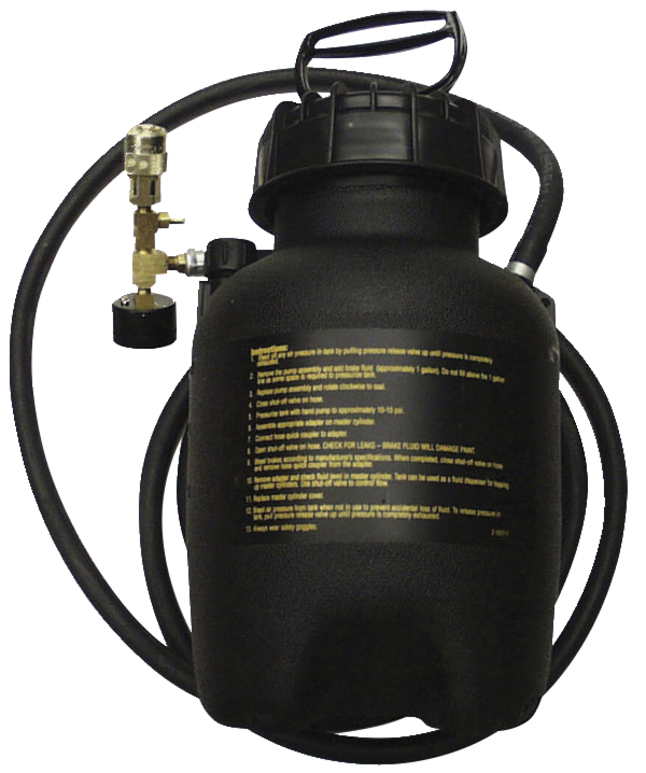 Cal Van Tools Brake Bleeder Tank includes 9.66 ft hose shut-off valve and pressure gauge. light-weight plastic tank of 1 gal capacity is easily pressurized with built-in hand pump. Portable tank fills and bleeds both standard as well as power brakes.